Cycle Chic®: The Cycle Chic Republic - and a Webshop! The Cycle Chic Republic - and a Webshop! 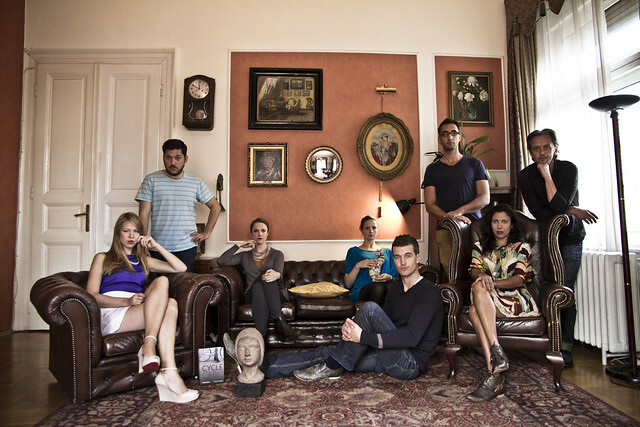 From left: Mary (Copenhagen Cycle Chic), Gaze (Berlin Cycle Chic), Annabel (Vienna Cycle Chic), Joni and Philip (Amsterdam Cycle Chic), Aron (Hungarian Cycle Chic), Dora (Vitória Cycle Chic) and Mikael (Copenhagen Cycle Chic). Photographed in Budapest on the occasion of the 2nd Annual Cycle Chic Conference. It's no secret that Cycle Chic has gone from strength to strength since November 14, 2006. According to our records over 200 Cycle Chic blogs have appeared on the internet in cities on every continent. Many of them ended up inactive but a core of passionate people remain and a couple of years ago we formed The Cycle Chic Republic. Cycle Chic may have started with one person but it quickly became a community. That community has strengthened over the years and become a group of good friends, with more people joining as we go along. 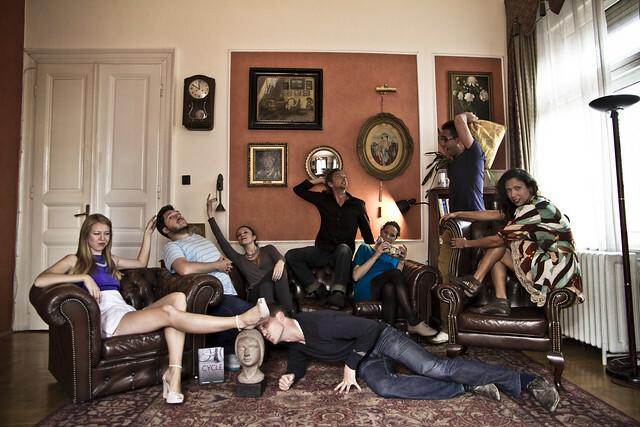 In 2011 we held the first Cycle Chic Conference in Barcelona, with Cycle Chic representatives from Bordeaux, Graz, Paris, Lisbon, Vancouver, Barcelona, Copenhagen, Sydney, Amsterdam, Budapest, Montreal, Rio de Janeiro. In 2012, we repeated the success in Budapest. This is where we took the group photo, above. Tongue in cheek, of course. We thought it fun and relevant to highlight the fact that we are far from the old school, granola-crunchy bicycle advocacy in "certain" parts of the world who - for reasons beyond us - think that Cycle Chic is somehow haute couture. Those of you who have been following the blog(s) know that it's just opening your closet and wearing whatever you'd wear as a pedestrian or a bus passenger. Style (your style) over Speed. This year, at the Velo-City 2013 bicycle conference in Vienna, a group of cycle chic bloggers were in attendance and, no surprise, we hung out. Cycle Chicsters from Gdansk, Copenhagen, Budapest, Vienna, Belgium. It's brilliant to have a such global network representing Cycle Chic and even more brilliant that we continue to have such fun and love each other even more. The newest development is that we have finally bowed to the pressure and opened up a global webshop. For many years people have been emailing us and asking about the accessories they see in our photographs. 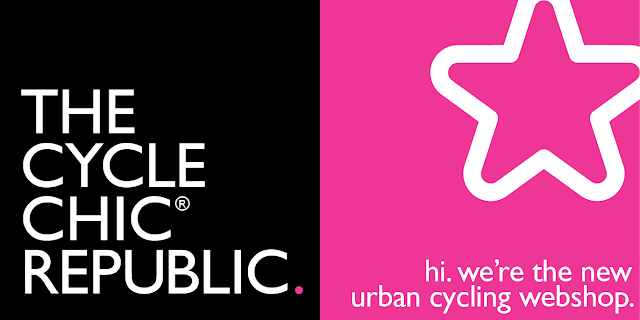 We decided to start The Official Cycle Chic Republic Webshop. We ship out of our warehouse in Amsterdam to any postbox around the world. We're thrilled that it's been a success from the start and we will continue to expand the selection of goods as we go. So, Cycle Chic continues to expand and grow and it doesn't look like we're going anywhere anytime soon. We're having too much fun. Mostly because while we share the same passion, we remember not to take ourselves too seriously.